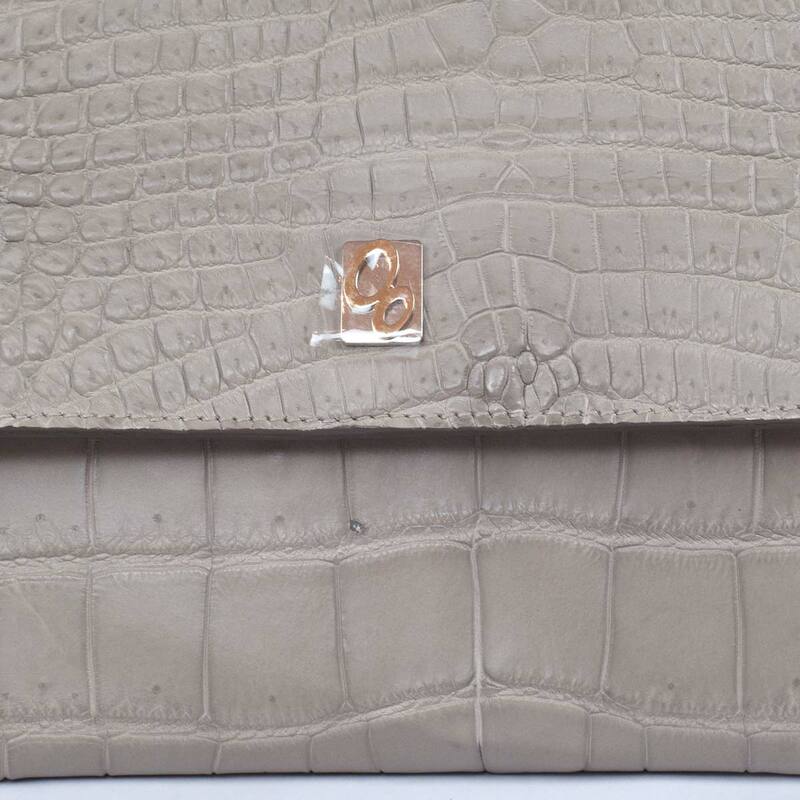 After long months of waiting, we are proud to announce you the return of one of our most requested models in the past collections: the item 3657, now rebaptized with the name Vera. 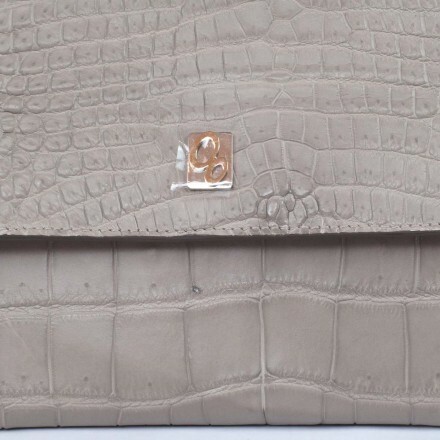 The bag, gone out of production for some years, now is available, enumerating itself in the most glamour products of our Iconic line. Reexamined and enhanced in some details, as the stitching on the borders, Vera is the ideal accessory for every woman who loves the classical elegance of a timeless item. 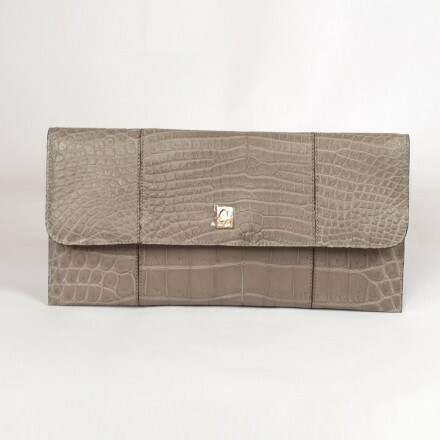 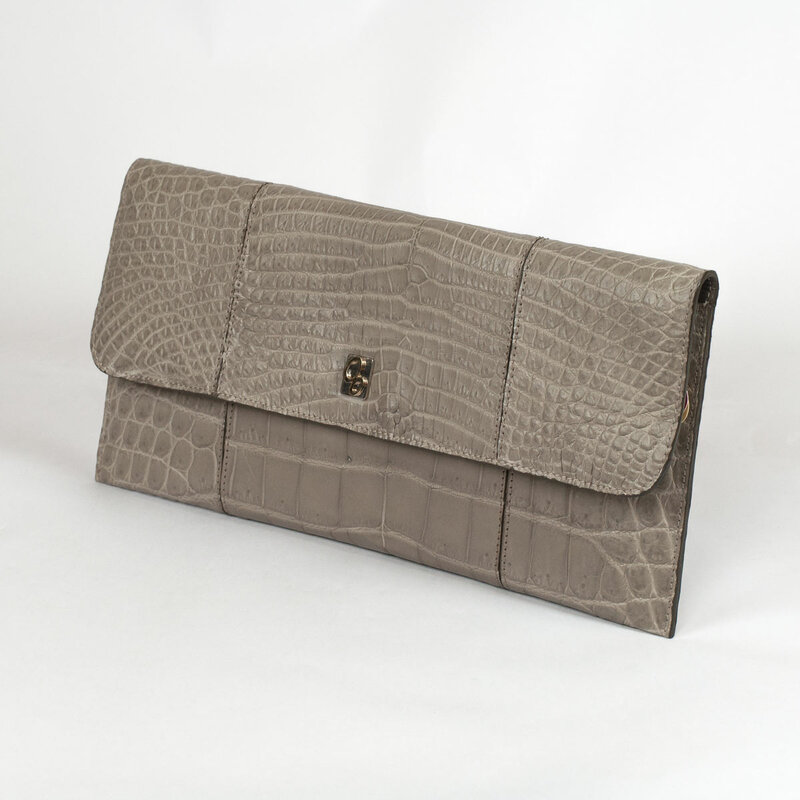 The pochette has been realized in prestigious Siamensis crocodile in clay-colored tonality, a neutral and delicate color that, according to what shown on the catwalks during the past fashion weeks, will be one of the leading colors of next Autumn-Winter, both as focal tone of an outfit and as plain color. 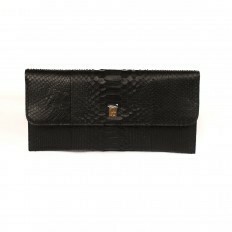 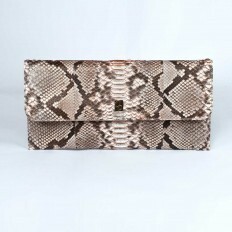 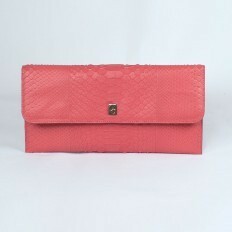 For this pochette, we have decided to use a specific section of crocodile leather, that one near to the tail, highlighting the typical natural prominence of the animal’s tail but decentralizing it expressly in order to give space to another focal point of the accessory: the metal label with Gleni logo. The Vera in clay-colored crocodile is a perfect harmony of style, elegance and refined sensuality and, thanks to its thin line and to its reduced dimensions (cm 33x17x1,5), it is the perfect accessory to wear in occasion of a ceremony or a gala event. 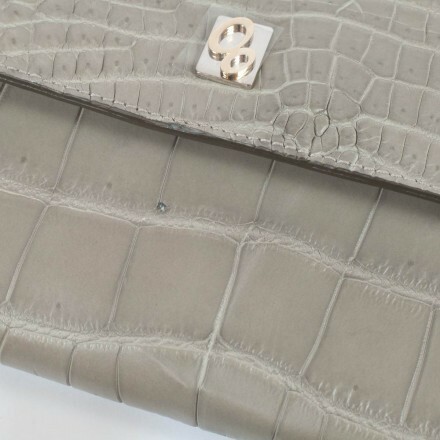 Held in the hand or worn on the shoulder thank to the delicious strap in chain, Vera will change you in an icon of style and glamour, charming all those who surround you and they won’t be able to not notice you for your timeless allure.